Access to 2 stand-alone personal umbrella markets: RLI (preferred) and Anderson & Murison (alternative). Protect yourself from "failure to offer" E&O claims; offer a personal umbrella to every client. Big "I" Markets has been without an event liability market since February. As we searched for a new market, we found an old friend with a fresh new brand. We are thrilled to announce the return of Event Insurance Now (previously known as Gales Creek Insurance), now with fully admitted markets, broader coverages, and greater appetite. Public liability for single day, short term, and annual policies is available. In addition to GL, HNOA liability, umbrella and liquor liability can be offered. One day events generally can be quoted in a single business day. Coverage can be placed for the individual or entity hosting the event quickly. For those providing services to events, such as DJ, caterers, florists, and photographers, Event Insurance Now has a product as well. 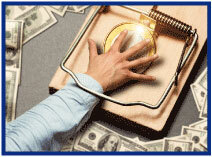 Vendors can secure coverage on a short term or annual basis. Weddings start at $225 and can be at public venues or private residences. Parades start at $335. We have no limit on event size: bring us your largest accounts! Event Insurance Now can also insure overnight events with camping. 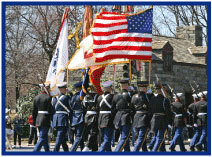 Event Liability Insurance is available in all states, so lead a parade over to Big "I" Markets and check it out. Imagine this scenario: A bank handles its employee retirement plan and suddenly finds itself being sued by the Labor Department for charging excessive fees. Even if it turns out to be just sloppy bookkeeping, thousands of dollars will need to be spent on the defense. Hundreds of thousands or even millions could be levied/awarded if the charges are true. Even when a bank fails, its officers can still be sued and it's not true that the FDIC only goes after the directors and officers of those that have director and officers' liability insurance. Offering coverage for a local bank, including D&O, is easier than you think with the Big "I" Markets Community Banks Business Insurance Program. Because our partner Travelers understands that few agents have extensive knowledge about banks, they will walk with you through the entire operation, explaining the process and details of coverages. Travelers will even go with you to pitch the coverage to the client. Travelers is there to guide you every step of the way. November 16 - 1:00 - 3:00pm EST. "Builders Risk". Builders Risk insurance is meant to provide protection against the financial consequences of accidental losses which occur during the course of construction, renovation, or installations. This area of the insurance industry is largely misunderstood by many insurance professionals, including those that advise on the procurement of such insurance. This is further complicated by the fact that many insurers use differing proprietary coverage forms. Increase your knowledge in this two-hour webinar. Click here to learn more and register. 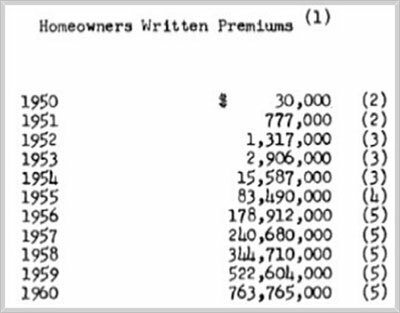 In doing some research, I stumbled upon the birth of the first multiple line insurance policy in our fair industry: Homeowners. What a great story! You can see the innovation turned out to be quite a nice premium event…and not the least for The Insurance Company of North America ("INA") who was the only writer of the line for several years. Before 1950 and when INA filed the form, most insurance was written by separately regulated and narrowly focused insurers writing only "property" (fire and extended perils) or "casualty" (liability and medical payments). 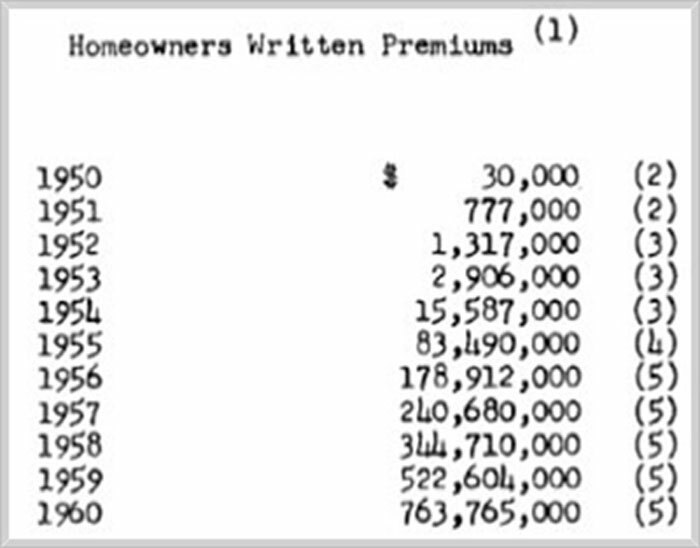 In fact in the filing made on August 11, 1950 in Pennsylvania, the form was even called "Homeowners Policy Multiple Form." Before 1950 to duplicate the same outcome, you probably needed multiple policy issuing insurers to obtain Dwelling Fire Policy, a Personal Articles Floater and a Personal Liability Policy and you might still be missing extended perils on your home and medical payments. The situation was ripe for change. This brings me to the reason for my review of the origins of multiple line forms. Are we ripe for change? Do we need an omnibus multiple line form that would cover many of the coverages often not purchased by consumers… even though we know they should purchase them? We know too well the low penetration of personal umbrellas and lower penetration still is consumers purchasing high limits of Uninsured and Underinsured Motorist. What if we could combine other overlooked coverages to drive conversations with consumers? Think about in-home business coverage for all the work-at-home and 1099 situations. How about renters insurance for young adults and the rising exposure with millennials for non-owned automobile liability from rented or shared cars? What about all the dollars that flow into PDA "insurance" on consumer cell phone bills and coverage for property in storage facilities? What else might be added to something as "radical" in the day as homeowners was in 1950? Have an idea? Have an idea? Do you think such a program would work on Big “I” Markets? Send me an email at paul.buse@iiaba.net. Congratulations to this week's winners - Jack Harris (IN), Jane Hamada (CA), Nikki Eagle (NM), Megan Thomas (OK) & Cheryl Sedich (CT). Congratulations to our agent in Mississippi on a small commercial market sale of $3,089 in premium!